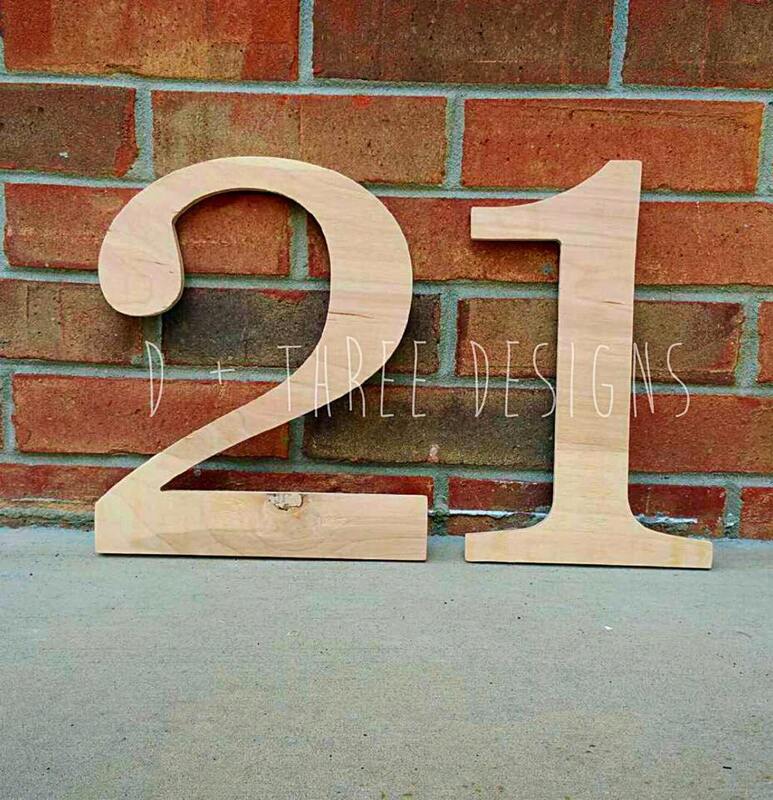 This listing is for 2 unpainted 12 Inch tall single wooden numbers. The wooden numbers will be lightly sanded & cut from 1/2 inch birch wood. Does not come with hanging hardware. (Font is Georgia Bold, if you want another font just let me know). Other sizes are available just message us for a custom request! *Remember to put the two numbers you would like in the Notes to Seller box at checkout!!! Upon purchasing this item, you are agreeing to all terms and policies as stated on our policies page. Your item will ship within a week of purchasing! Fast shipping and love the size! Thank you! Couldn't find what I wanted at any of the local craft stores and this worked out wonderfully! My husband painted it the theme color for the party - we put it on the candy table and the girls used it as a prop for pictures.